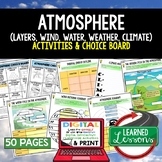 Print these word wall/vocabulary cards off. Great for review or in a pocket chart. Looks best on colored cards stock. 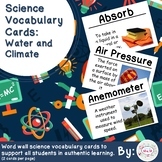 Vocabulary for all five Investigations of the Water and Climate (third grade) kit are included. A crossword puzzle for 12 of the vocabulary words from the Water and Climate Unit from the 3rd grade FOSS/AMSTI curriculum. 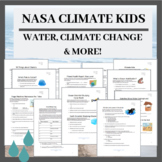 An extra resource to go along with third grade AMSTI/FOSS kit - Water and Climate Water and Climate Vocabulary matching quiz to be used at the end of all Water and Climate investigations. Features (12) vocabulary words. 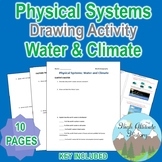 This product includes 20 pages of fill in the blank, guided reading for the book WATER AND CLIMATE. 13 different topics. Bundle and save! Each of these topics can be bought separately. Easy to grade! ANSWERS ARE INCLUDED. 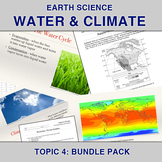 This Mini Quiz covers all of Investigation 1 in the Water and Climate book. There are a total of 14 questions. 7 are matching and 7 are true-false. Ease to grade. Answers are included. THIS QUIZ IS ALSO SOLD IN A BUNDLE. This product includes two separate quizzes. One is for STUDYING WEATHER. 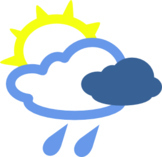 The other is for CONDENSATION / WATER CYCLE. They both have 10 questions. 5 are matching and 5 are true-false. Easy to grade. Answer key is included. This product is also sold in a BUNDLE. Have your students use these clear directions to write a letter regarding conserving water. They use the information in Water Everywhere which is part of Foss Water and Climate Investigation 1.